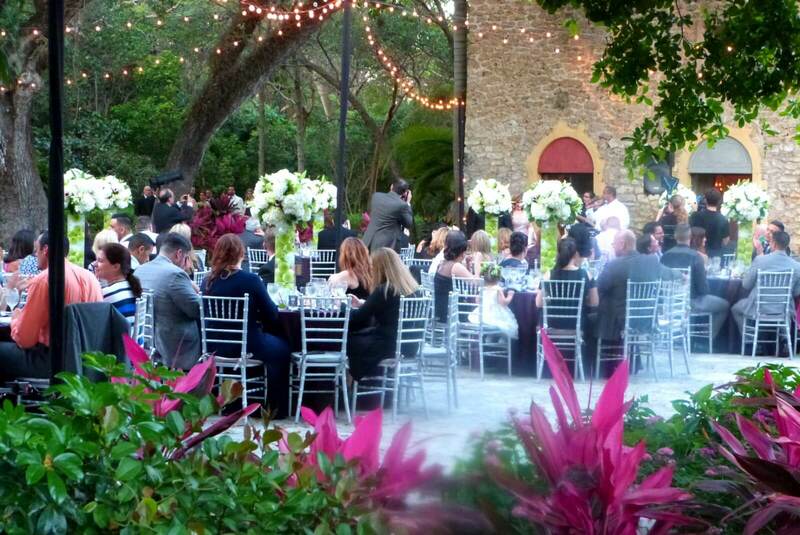 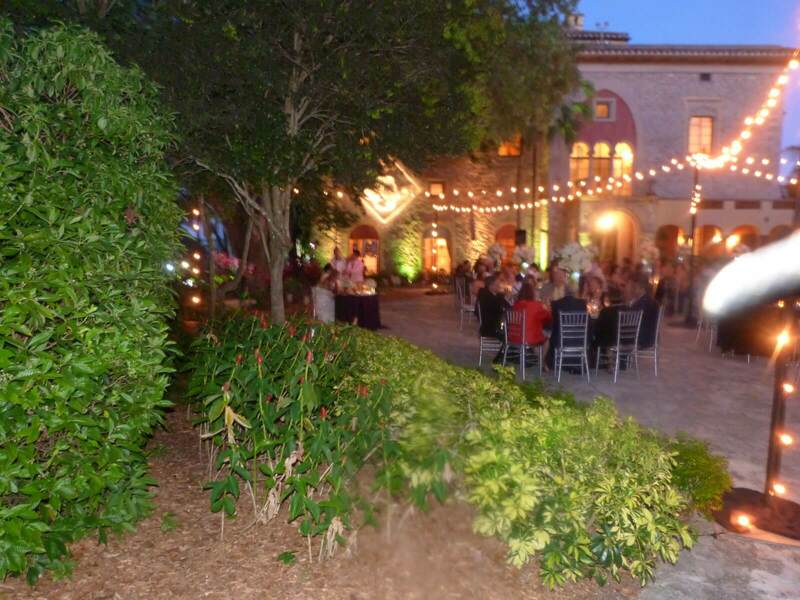 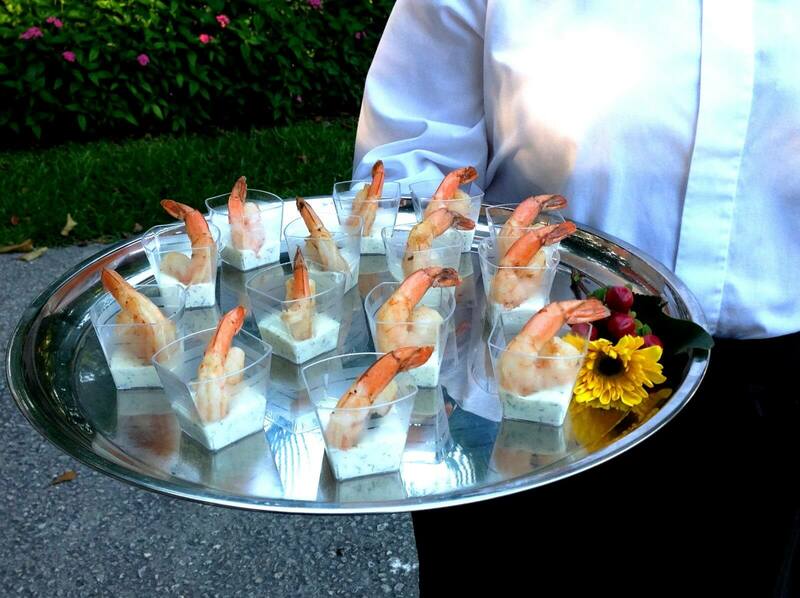 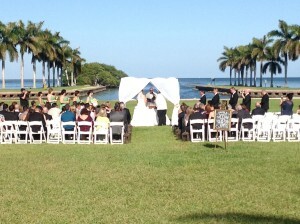 Michelle and Andrew, were married on April 4th, 2015 at the Deering Estate in Palmetto Bay, Florida. 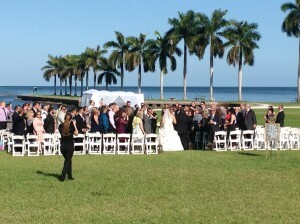 We couldn’t have asked for a more perfect day with clear blue skies and no cloud in sight. 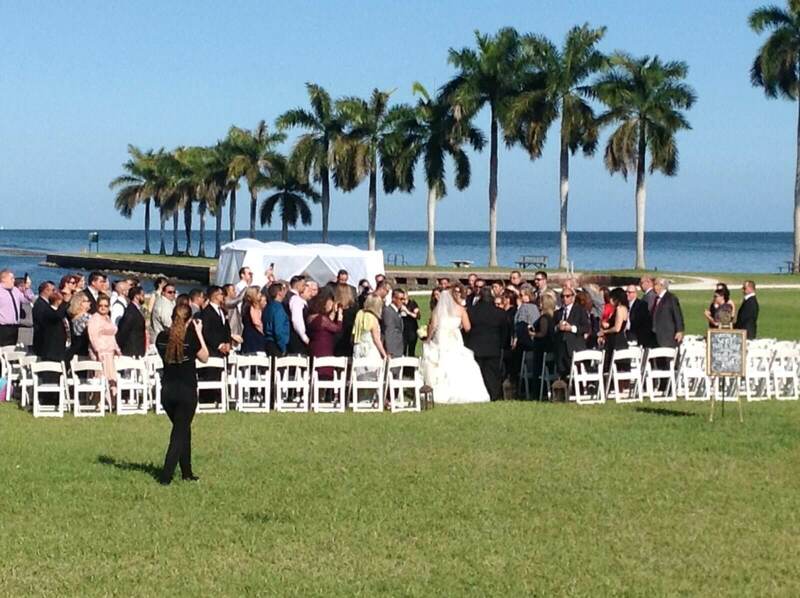 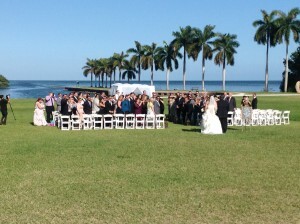 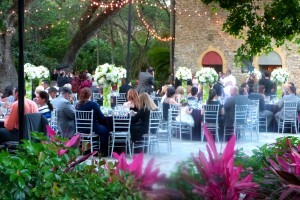 The ceremony was held on the lawn with a view of the bay as their backdrop. 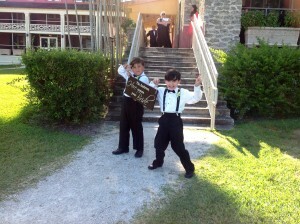 Two excited little boys hold up a sign that reads “ Tio Andrew, here comes your bride” and immediately following her bridesmaids, the bride walks down the aisle, with her father by her side, as he’d always been throughout her life. 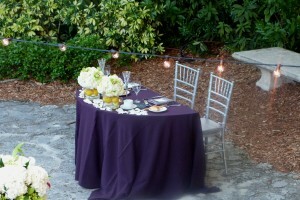 Following the “I-dos”, guests are invited to cocktail hour were they are met with an open bar and Butlered Hors D’Oeuvres Served on floral-accented Platters; Petit Lamb Lollipops with Asian-Orange sauce, Shrimp Duet in Petit Martini glasses with Lemon-Dill Dipping sauce, Baked Brie with ginger and brown sugar, Blackened chicken with mango chutney, Bacon wrapped dates, White ceviche shots. 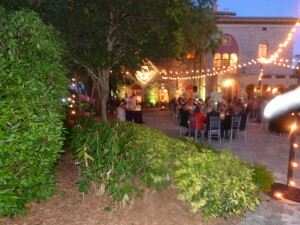 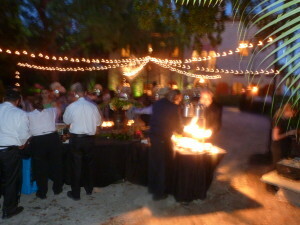 Once cocktail hour is over, guests are then invited to take a seat at their corresponding table for dinner. 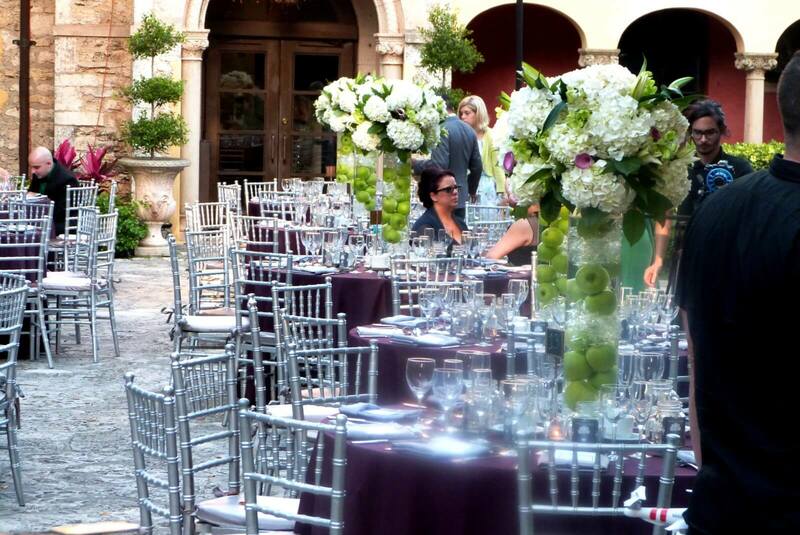 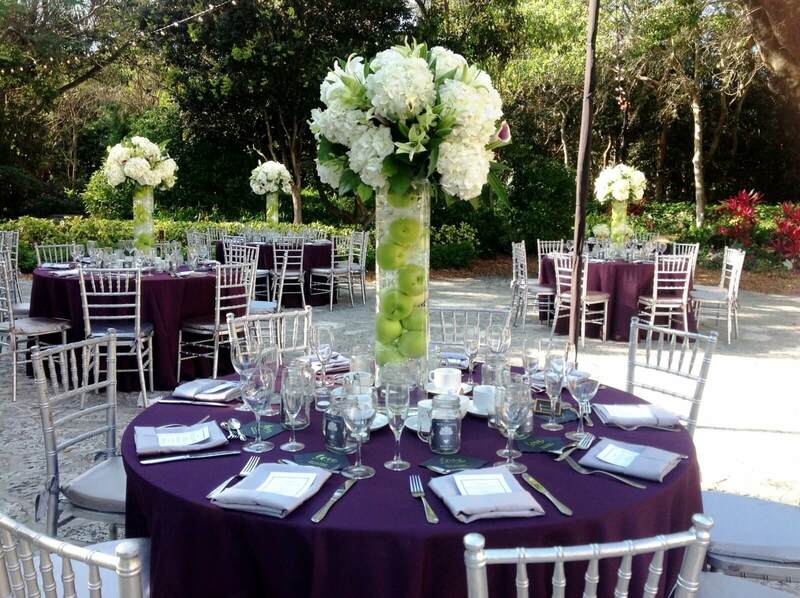 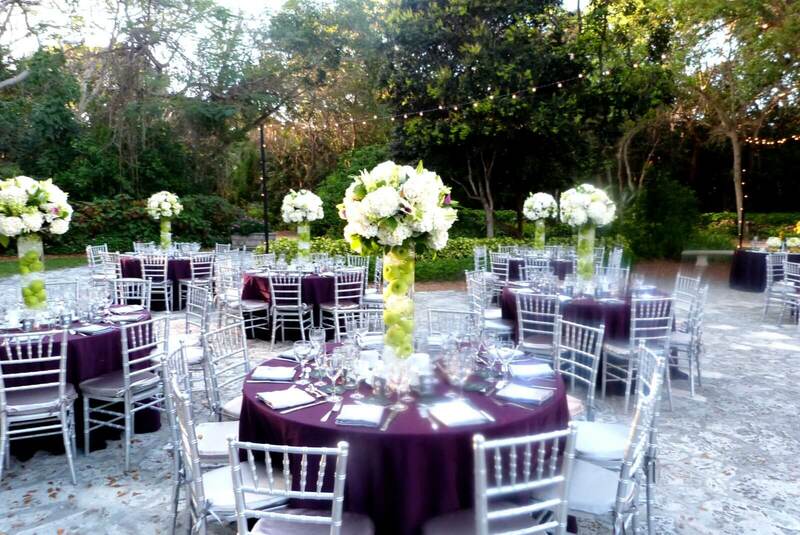 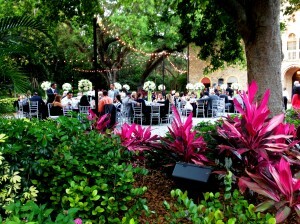 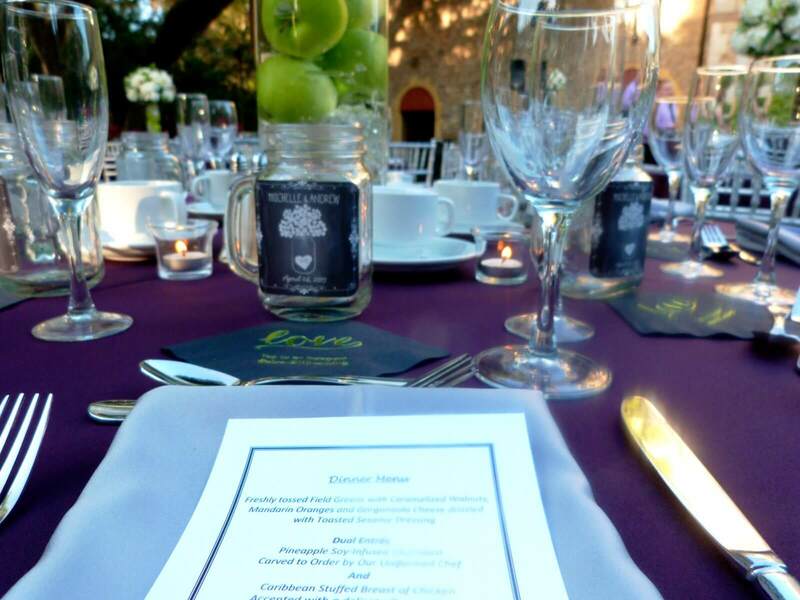 An eggplant colored linen draped the tables accented by silver napkins and Chiavari chairs. 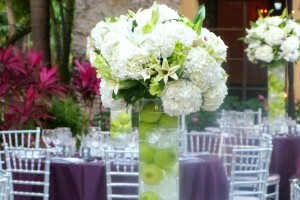 The centerpieces consisted of submerged granny smith apples vases topped with a beautiful white, green and pops of purple floral arrangements. 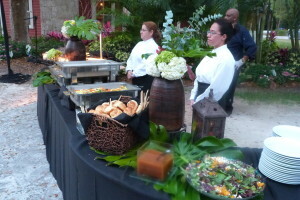 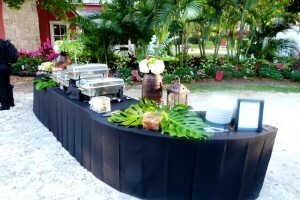 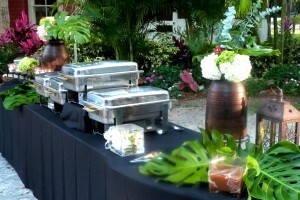 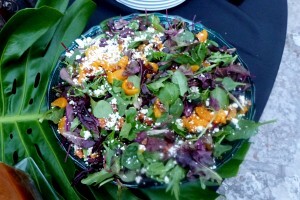 Guests are invited to the buffet consisting of a freshly tossed Field Greens Salad with Caramelized Walnuts, Mandarin Oranges and Gorgonzola Cheese drizzled with Toasted Sesame Dressing, Pineapple Soy-Infused Churrasco which is Carved to Order by Our Uniformed Chef and a Caribbean Stuffed Breast of Chicken accented with a delicate Guava Glaze. The entrées are accompanied by a Lobster & Crab Ravioli Pasta Sautéed in a Delicate Cream Sauce, Potatoes Au Gratin and Seasonal Vegetables Sautéed with Fresh Herbs in Garlic Butter. 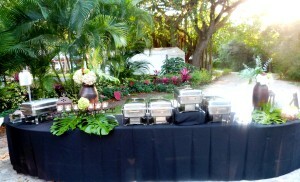 Dinner is followed by a selection of dessert shots: Chocolate Gateau, Lemon Meringue and White & Dark Chocolate-dipped Strawberries. 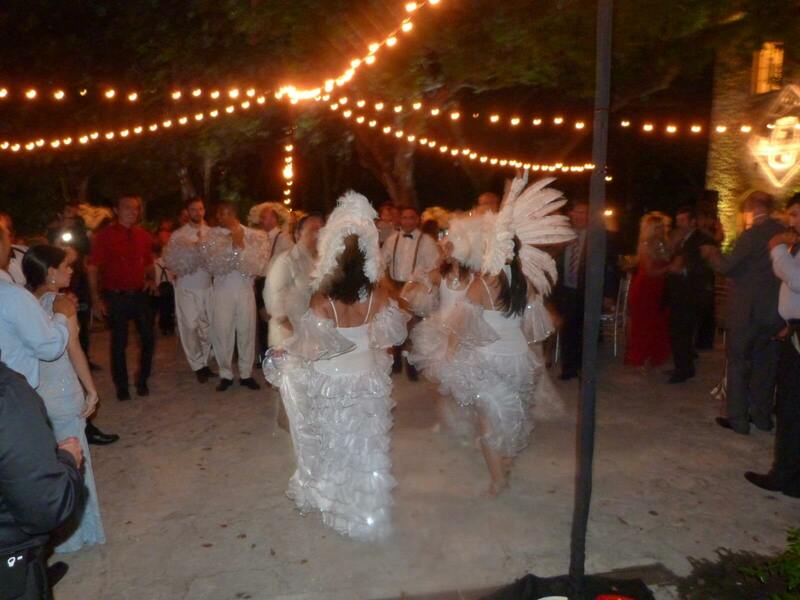 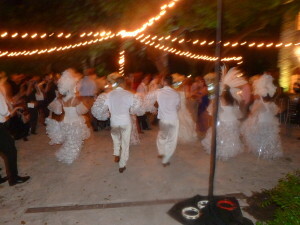 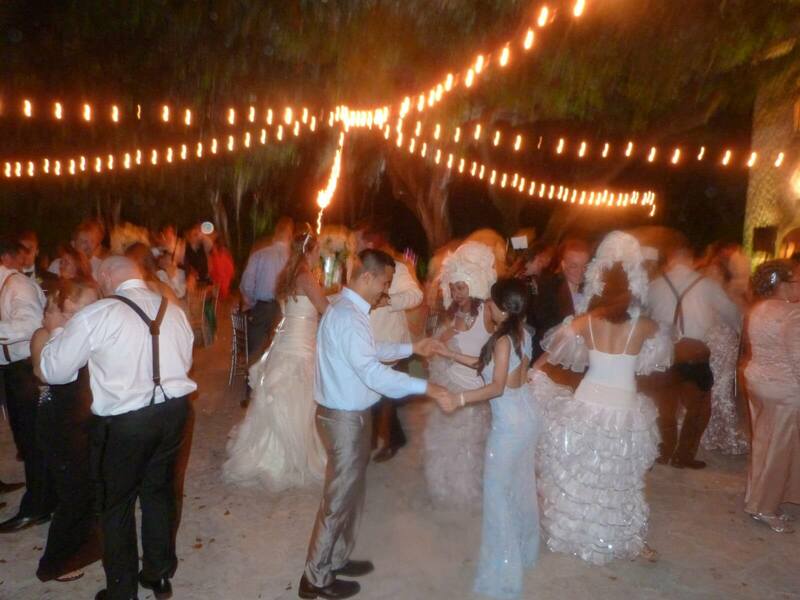 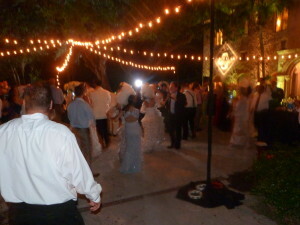 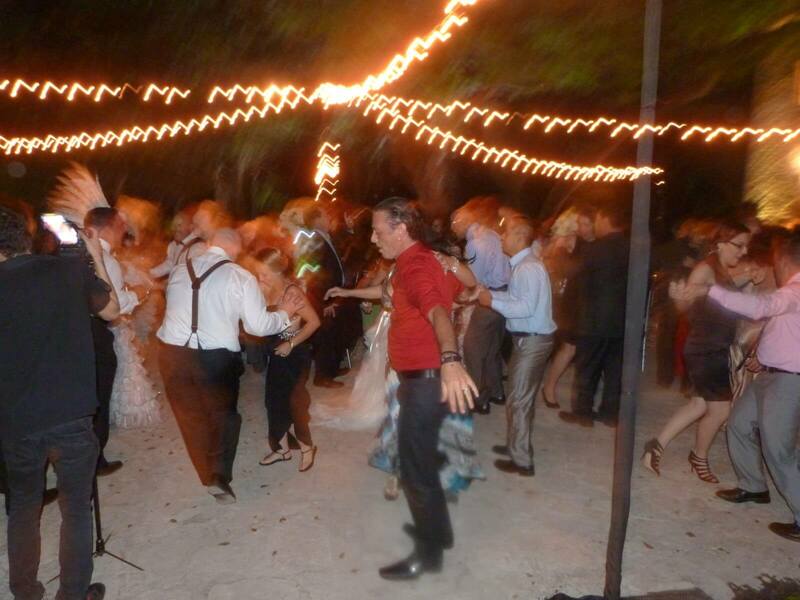 Guests are surprised when a group of Latin dancers suddenly appear on the dance floor. 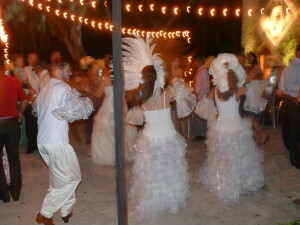 These dancers immediately get the party started as people got up and started to dance. 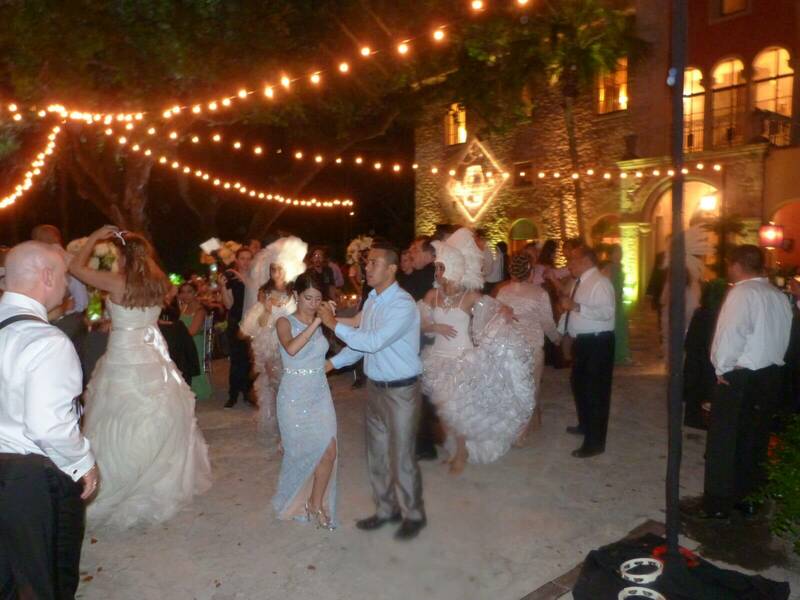 What a way to open up the dance floor! As the night went on and guests danced the night away, we couldn’t help but notice the amount of love that filled the air. 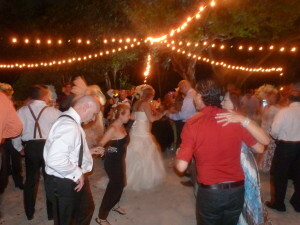 People from all over the world made this trip just to see this lovely couple as they embark on this new life together and to celebrate with them. 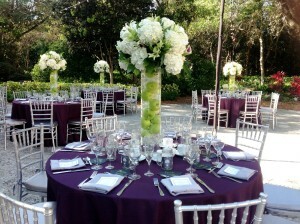 Michelle and Andrew, it was such a pleasure working with you and wish you a life filled with love!